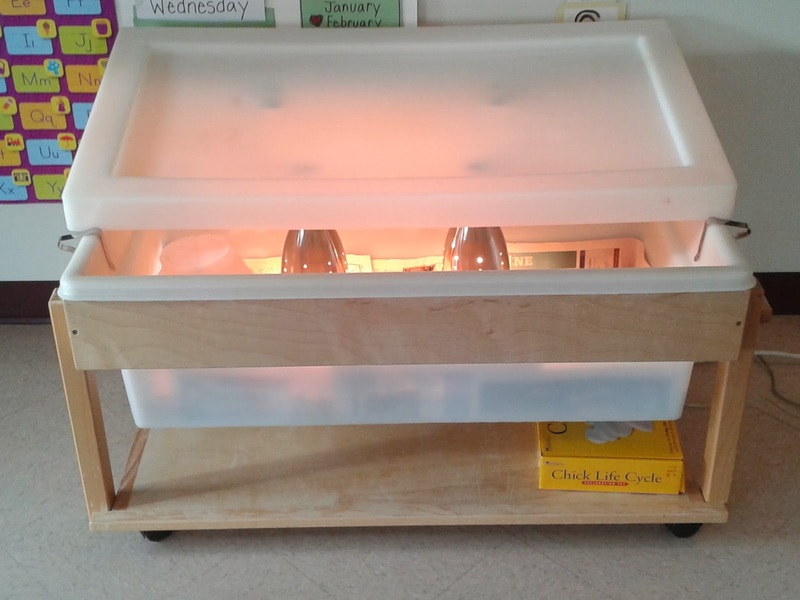 Teach Easy Resources: The Chicks have Hatched in our Classroom! We just had 7 little ones added to our classroom this week. But this time, the little ones are not children. They're chicks! Some of our eggs have hatched and we now have a family of adorable little puff balls peeping, sleeping, and pooping in our classroom. In the bin, you can see their water container, some food, and the heat lamps. 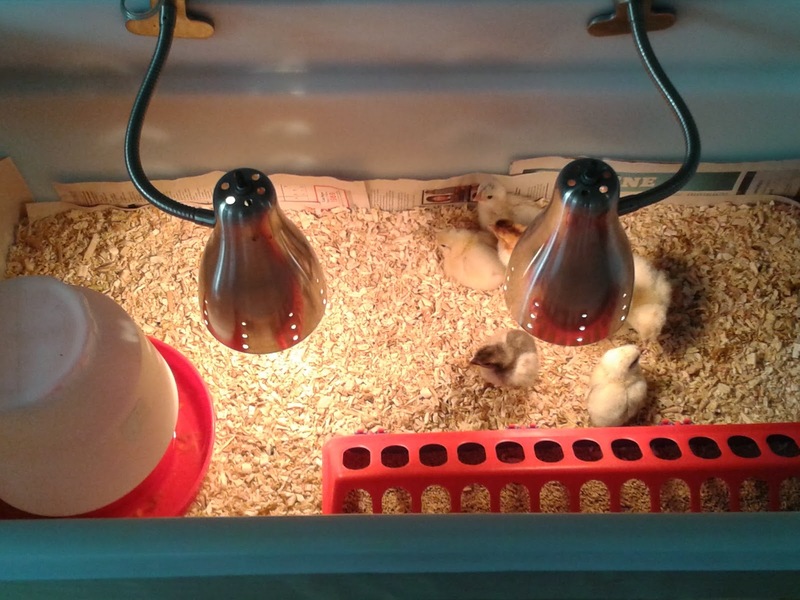 A nice side benefit of having the chicks is that they are a great classroom management tool! At center time, we tell the children that they must use their inside voices so that they don't "scare the chicks!" Today we let one of our chick babies walk around on the carpet for a minute. Here he is with my co-teacher Ms. Danica. 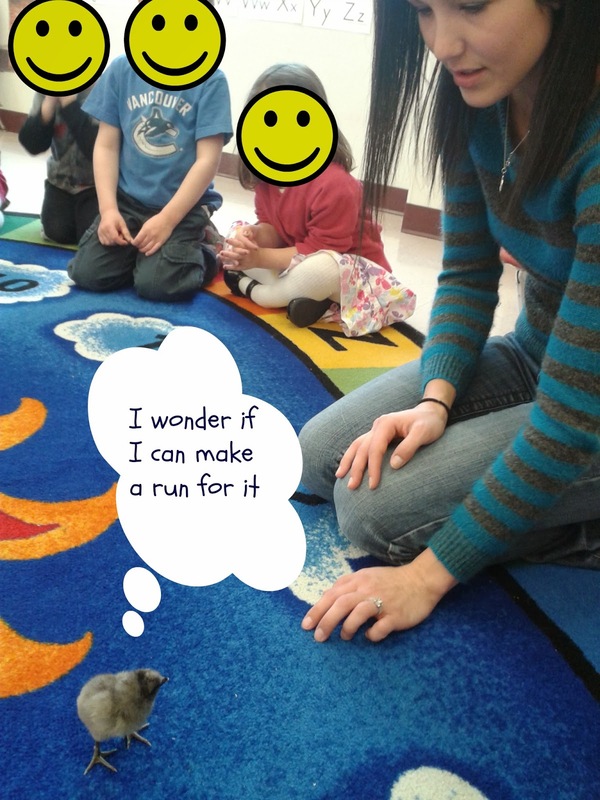 Our chick didn't end up making a run for it, but he did decide to poop on the rug much to the delight of the children! We then gave each student a turn to gently pet one or two of the chicks. We let them use one finger only to ensure that the pressure was light. 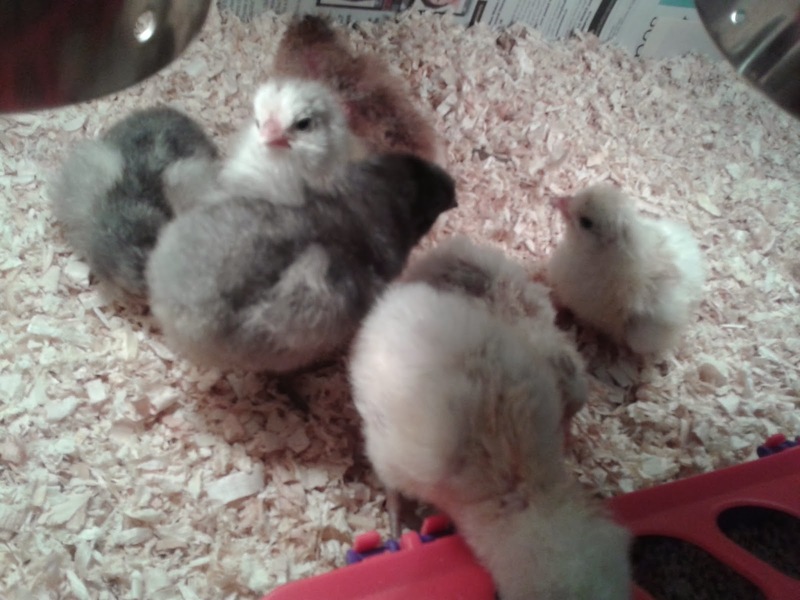 The process of hatching chicks has been lots of fun for our kids (and their parents!) It definitely required a lot of extra time and effort (thank you Ms. Danica for making it happen! ), but I think it's something that will really stand out as a special memory from their year at preschool.